William Long Whitesell was born in Huntsville, Alabama, moved to Valdosta in 1976, graduated from Valdosta High School, and received his B.A. in 1996 from Presbyterian College. 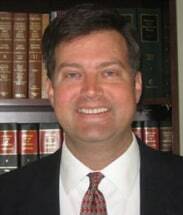 Graduating with his Doctorate of Jurisprudence from Florida State University in 2000, he was admitted to the Georgia Bar and Florida Bar in 2001. William L. Whitesell served as a Judicial Law Clerk for the Southern Judicial Circuit of Georgia before accepting a position at Young, Thagard, Hoffman, and Smith, L.L.P., where he practiced insurance defense law, criminal law, and real estate law for three years before leaving to open his own firm, William Long Whitesell, L.L.C. Due to Mr. Whitesell’s experience in defending insurance companies, and their insured’s, against personal injury claims, he is able to give his clients a distinct advantage as plaintiffs in personal injury claims. A similar advantage is afforded to his criminal defense clients, as he has many years experience as a prosecutor in Remerton Municipal Court. In addition to practicing law, Mr. Whitesell serves as Vice President of Membership on the Executive Board of Directors for the Boy Scouts of America, South Georgia Council, the Board of Directors for the Humane Society of Valdosta/Lowndes County, and serves as a Past President of the Azalea City Kiwanis Club.